As the biggest rookie contest series for freeskiers and snowboarders in the Alps, the QParks Tour will once again live up to its name: At 9 stops in 4 countries, the aspiring rookies gather not only important points for their moves but also first experience in the professional contest business. Under the eyes of internationally experienced judges, they will perform their best tricks – after all it’s also about cash and goodies worth a total of about 30.000€. 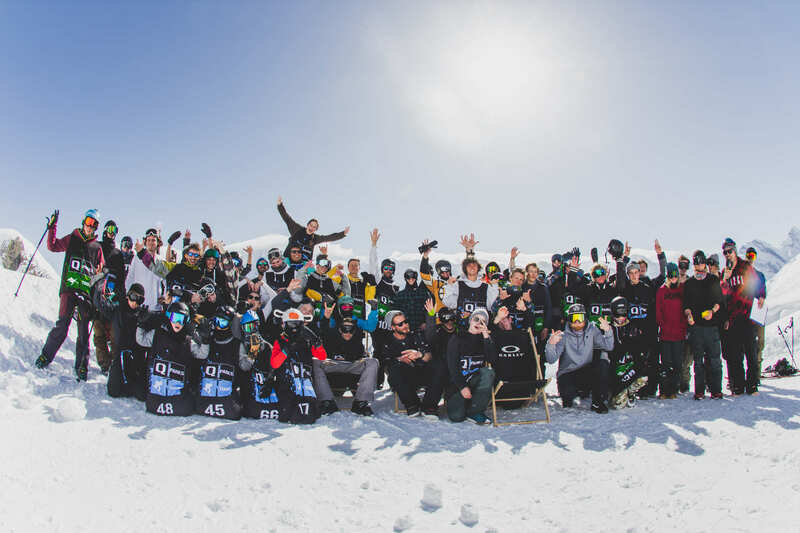 Also the riders may qualify for the crowning finale – the “Game of Diamonds” – which will go down at Snowpark Obergurgl for the first time. “15 Years for Freestyle” – QParks is in party mode and celebrates a big anniversary this winter and that affects the QParks Tour as well of course. In its 9th season of being an integral part of the QParks-agenda, the contest series will support ambitious shred-talents on their way to turning pro. During the winter of 2018, freeskiers and snowboarders will battle each other in nine slopestyle-contests in Italy, Germany, Austria and Switzerland. The riders can always expect a nicely shaped set-up in which it’s all about impressing the judges in the categories Men, Women and Groms. The best moves will be rewarded with money prizes and goodies from Amplifi, QParks and Pinetime Clothing. Besides the battle for scores and rankings, the atmosphere is familiar as usual – just the way a sweet birthday party should go down. Staying true to the Tour pays off because you can win worthy points for the overall-ranking at every QParks Tour Stop. Additionally, all snowboarders win points for the World Snowboard Points List and the World Rookie Rank. Also, the stops in Austria are part of the Austria Cup. All freeskiers collect additional points for the ÖSV Freeski-Cup during contests on Austrian snow and are happy to receive points for the BernerMittelland Tour when competing in Switzerland. Experienced tour riders recognize it the second they view the time table: There’s a new location on the plan this winter! The Snowpark Obergurglis hosting the “Game of Diamonds” for the very first time. Thanks to its location at the Steinmannbahn and an extended set-up, it offers the ideal location for the final showdown. The girls-only shape crew of the snowpark is super stoked about the highlight in their park and the crowning finale of another shred- and shape season. 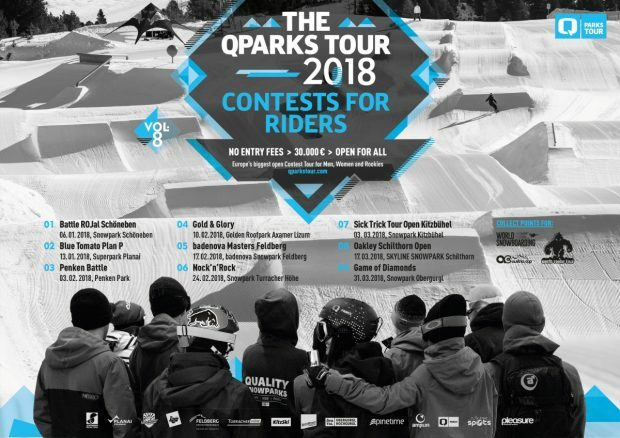 QPARKS TOUR 2018 IS ON – Stay tuned!